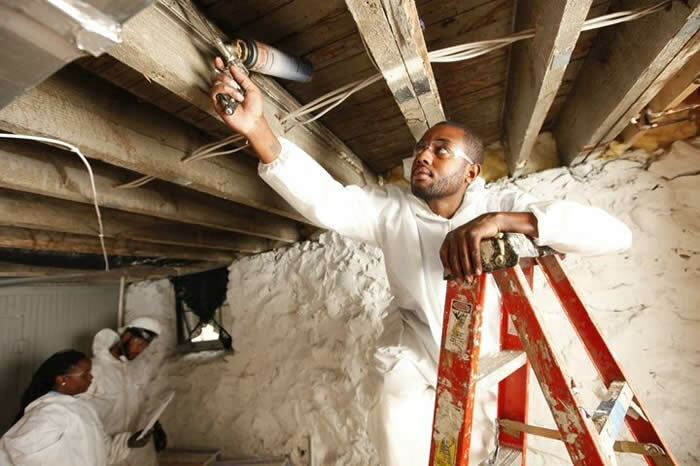 Since 2009, nearly 2,000 households received energy efficiency upgrade services from Civic Works, an urban service corps dedicated to strengthening communities in and around Baltimore. The non-profit used EmPOWER Clean Energy Communities grant funding to help finance the projects. Estimates suggest that these energy and cost-saving projects are likely to save at least 770 MWH annually, which is the equivalent of more than $1.5 million dollars saved over the life of the measures. This tremendous savings would not have been possible without Civic Works. Since its founding in 1993, Civic Works strengthens Greater Baltimore’s communities through education, skills development, and community service through community improvement, workforce development, education, and “green” programs. Earl Millett, Chief Operating Officer at Civic Works, drives the monumental success for Civic Works, but knows that nothing would be possible without a dedicated team of volunteers. Over the years, MEA’s grant funding has primarily paid for the labor costs associated with Civic Works Project Lightbulb and EnergyReadyprograms. Project Lightbulb uses AmeriCorp members, who themselves are low or moderate income, to install low-cost energy efficiency measures like compact fluorescent lights (CFLs), low flow showerheads, and pipe insulation in low and moderate income homes. A subset of the Project Lightbulb recipients are then selected for participation in EnergyReady, a program that provides whole home energy retrofits that include measures like air sealing and insulation upgrades. A recent recipient of Project Lightbulb energy upgrades sent Millett a thank you note. “We desire to express our thanks for the recent replacement of the various light bulbs, the installations of the faucet aerators, and the wrapping of the hot water heater. We older folks can surely use all the help we can get, and we are very grateful,” wrote the Parkville resident. Fueled by funding from MEA, Millett hopes that Civic Works continues to bring energy upgrades to thankful residents for years to come.